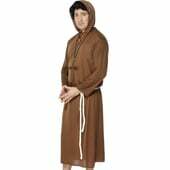 Moses and 10 Commandments Costume features a full length beige robe with attached red caftan. 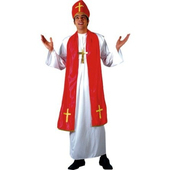 The costume also comes with an attached red and black striped sash. 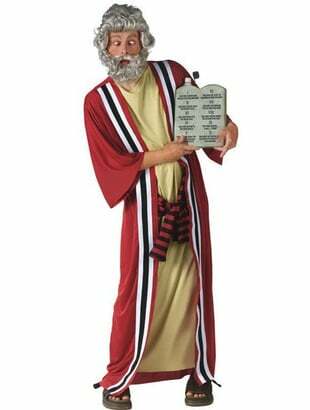 To add to this funny costume, a tablet look beverage dispenser with ten party commandments is also included. 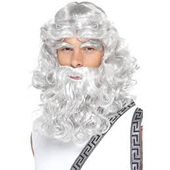 Please note that the wig and beard are not included with the costume but similiar products maybe purchased separately from our site.